Are you thinking about a villa? Dont want shared walls? Dont want monthly maintenance fees? Check out this adorable ranch! Low maintenance, no stairs, everything on one level, convenient location, attached two car garage, no monthly maintenance! This private home features a huge main level with 3 Bedrooms and 2 Full Baths including a Master ensuite! Freshly painted throughout with updated flooring! 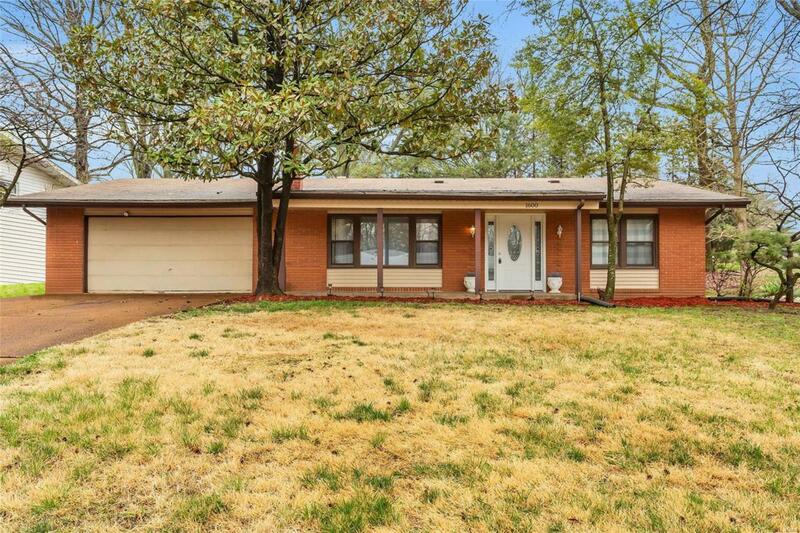 This lovely home is perfect for the St. Louis winters with Radiant Heat and TWO wood burning Fireplaces! Virtually no steps AND main floor laundry! Cozy living room - dining room combination with fireplace. And a warm and inviting main level family room with a second fireplace open to the kitchen. Check out the huge bonus room with multiple closets, main floor laundry great for hobby room, office, the choice is yours! Vinyl siding upgraded roof and doors, fenced yard, two car garage, and upgraded electrical panel! See today! Conveniently Located off 270 and Page!